Pour your precious pre-vacation time into researching that hole-in-the-wall eatery you're going to rave about for the rest of life instead of staring at an overwhelming selection of spinner carry-ons in a department store. 1. 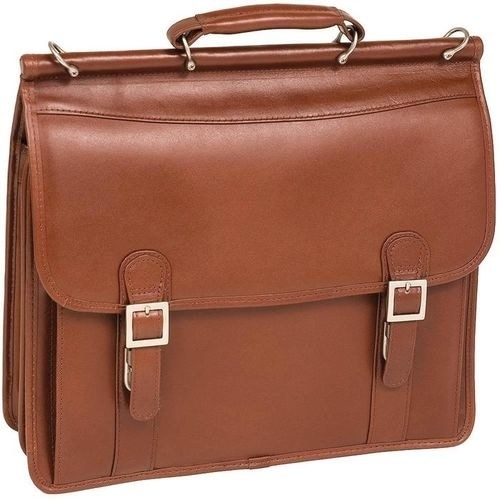 Overstock carries a deep and wide selection of brands you've heard of and ones you haven't at just the right price. 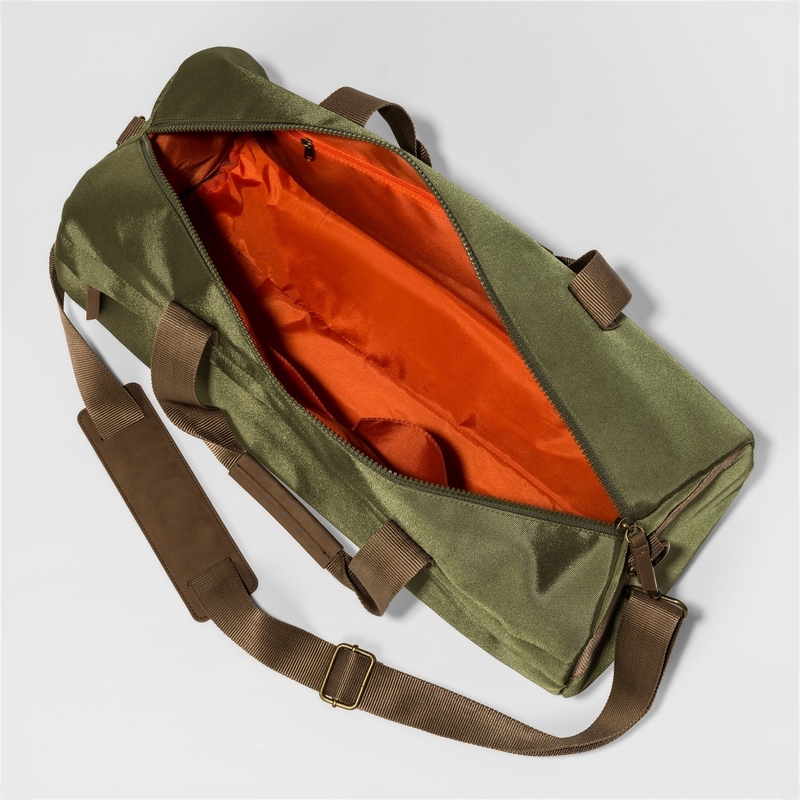 Why it's great: If you're looking for a bag that's vaguely related to travel, Overstock has it. Well, maybe even several versions of it at different price points. Go into your search knowing what you want, or else you may end up with 10 suitcases in your shopping cart. But there are worse things! Shipping: Standard free shipping every day to the contiguous U.S. on orders $45+. More on shipping. Stuff we like: Carry-All Travel Cosmetic and Jewelry Pouch for $7.99, Longchamp Le Pliage Black Nylon Large Travel Bag for $143.49, Cosmopolitan Wheeled Weekender for $53.49, and Traveler's Choice Amsterdam 4-piece Luggage Set for $97.99 (four colors). 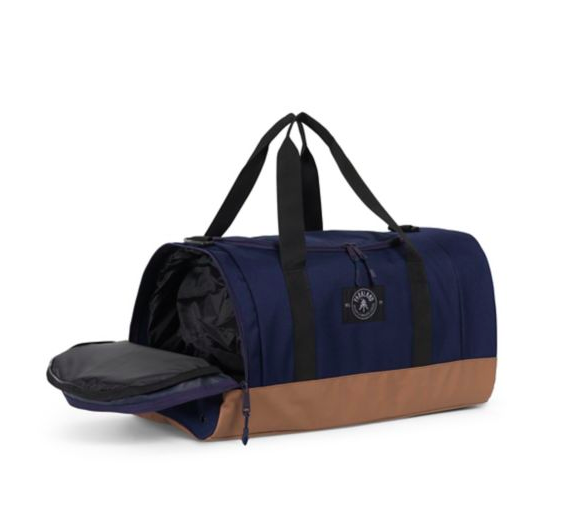 Get this Cathy's Concepts Personalized Navy Canvas and Leather Duffle Bag for $61.99 or World Traveler Diamond 2-Piece Carry-on Spinner Luggage Set for $106.99 (five colors). 2. Amazon has a huge selection *and* takes the mystery out of "will my roller will fit on my fav airline overhead?" with its handy carry-on guide. Why it's great: Need we count the ways in which it's advantageous to buy things from Amazon? 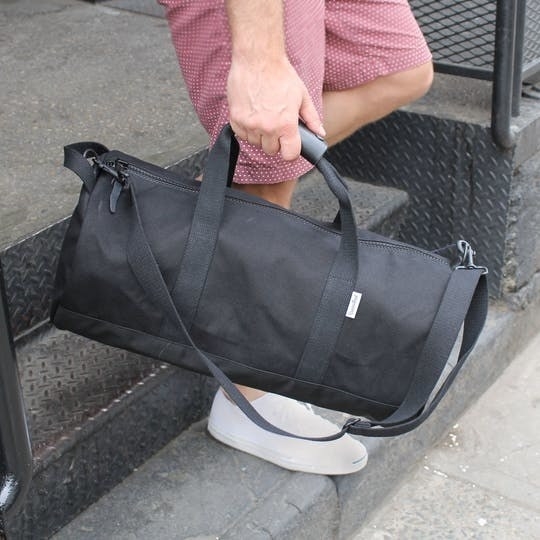 When it comes to luggage, the Carry-on Guide filters out the stuff that will fit in the one where you've accrued an astounding number of frequent flyer miles OR the random airline you scored an amazing deal on but are worried your carry-on is limited to a tote bag. Using your finesse and valuable time to pack your things into a carry-on to find out the airline will make you check it is a tragedy. Shipping: Varies by item, but some are eligible for Amazon Prime shipping. Each product listing has those details. More on shipping. 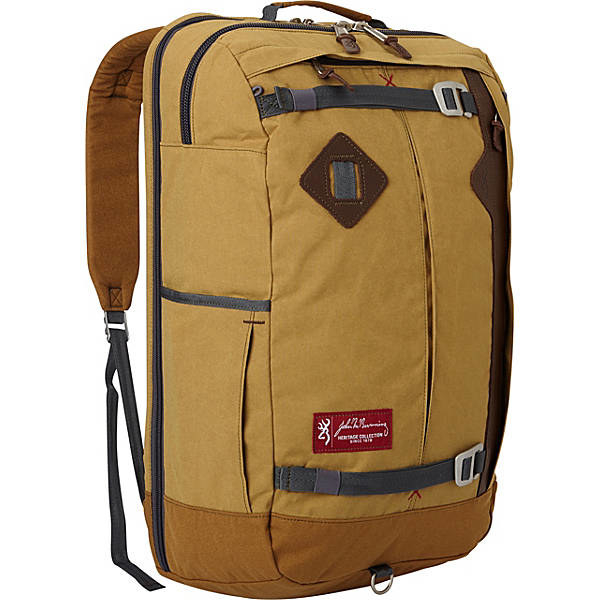 Stuff we like: Shacke Pak 4-pack of Packing Cubes for $22.99 (six colors), Samsonite Omni PC Hardside 20-Inch Spinner for $74.99+ (nine colors), Herschel Supply Co. Novel Duffle Bag for $65+ (20 color combos), and American Tourister Star Wars 21 Inch Hard Side Spinner for $65.99+ (four characters). 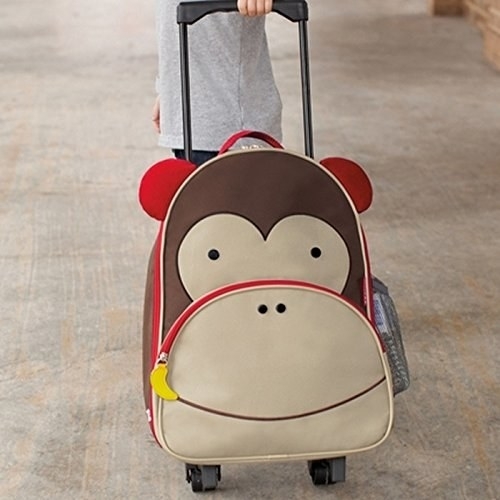 Get this Rockland Luggage 2-Piece Set for $37.82+ (variety of colors) or Skip Hop Zoo Little Kid Luggage for $29.99+ (six animals). 3. 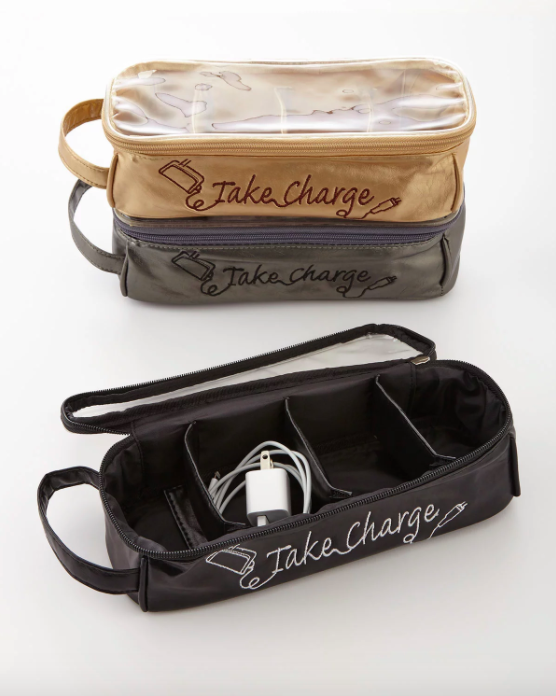 Nordstrom sells goods that'll keep you stylishly organized in case the TSA has to take a peek in your bag! Why it's great: In addition to the usual suspects like Bric's, Longchamp, and Tumi, Nordstrom has an in-house brand with super sleek designs bound to win you over. Shipping: Most items ship for free to the U.S., including Hawaii and Alaska! More info on shipping. Get this Calpak Baye Large Hardcase Hat Box for $125 (four colors) or Nordstrom Chevron 29-Inch and 20-Inch Spinner Luggage Set for $299. 4. T.J.Maxx carries lots of designer rollers and a variety of space-savvy bags in case you're looking for a single piece instead of a matching set. 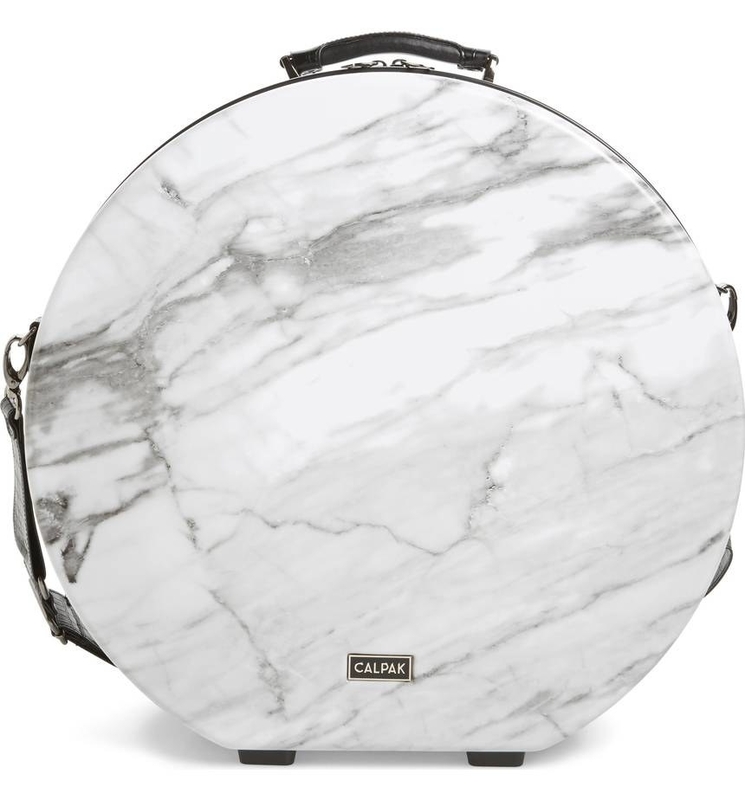 Why it's great: Like with most things at the chain, the selection of designer and brand-name luggage turns over quickly. So you have to be quick about buying something you like as soon as you see it! Just don't expect to search *by* designer because that's something you can't do on this site :(. Shipping: Ships to U.S. and Puerto Rico starting at $8.99, though there are often coupon codes for free shipping at certain shopping cart totals. More on shipping. Stuff we like: Heys Pearl Lite Beauty Case for $49.99, Sharper Image 3-Pack Packable Travel Cubes Large for $14.99, Mia Toro 20-inch Acid Wash Hardside Spinner Carry-On for $59.99, and Matteoli Made In Italy Leather Travel Bag for $169.99. Get this Bric's 21-inch Bellagio Spinner Carry-on Trunk for $219.99 or Macbeth Collection 21.5-inch Out Of Office Rolling Duffel for $39.99. 5. 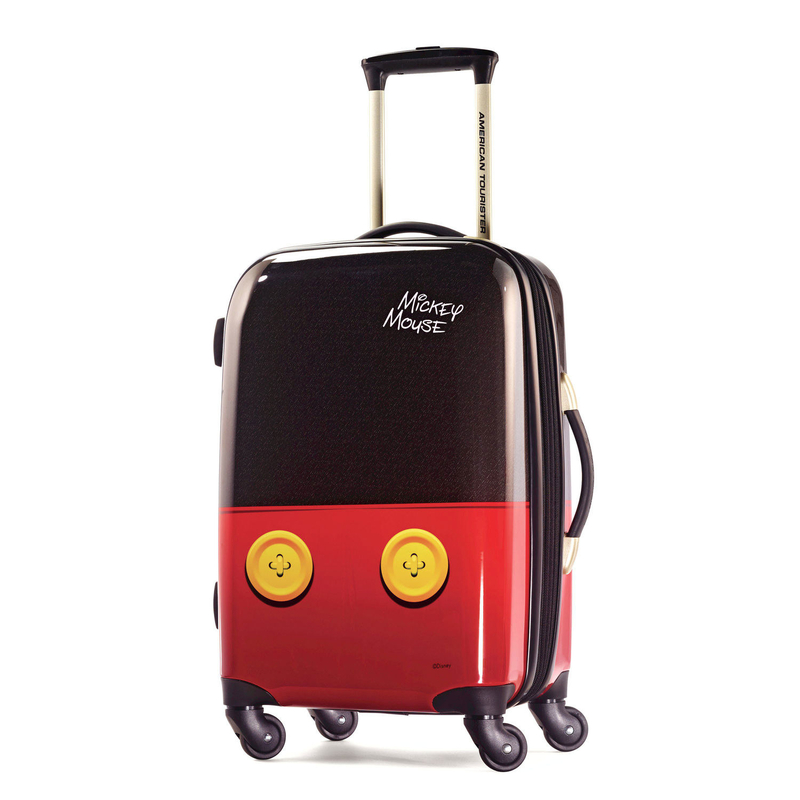 Target has a sprawling variety of travel goods, including a ~designated~ section for character-theme luggage! Why it's great: You know how I mentioned earlier that Amazon has a guide for carry-on luggage by airline? Target has a Carry-On Guide with a curated selection of soft-sided luggage you can squeeze under seats and security-friendly backpacks where you can access everything easily! Shipping: Free two-day shipping on thousands of items in $35+ orders. More info on shipping. 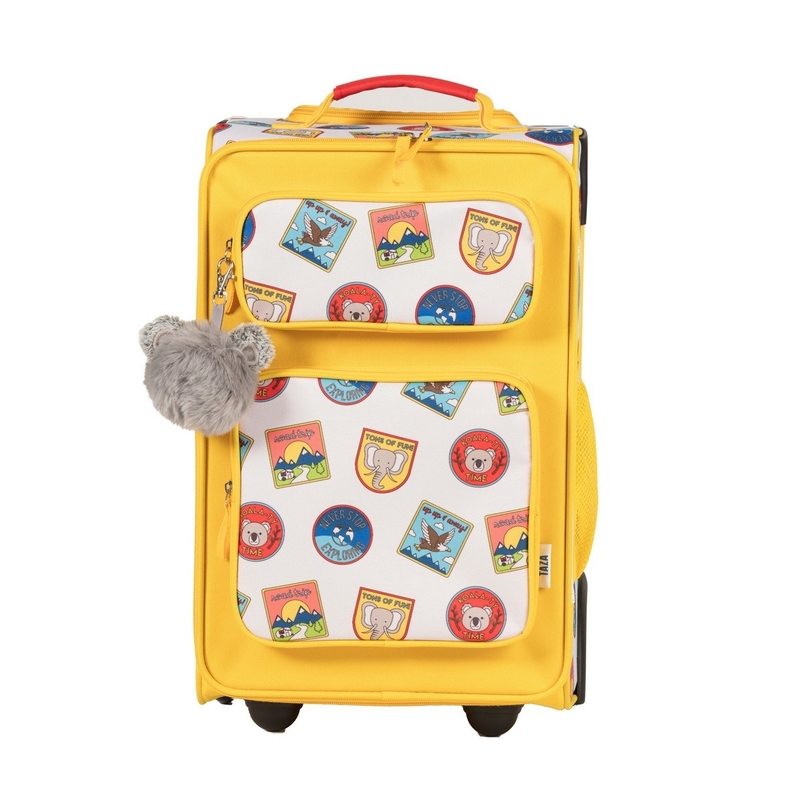 Get this Love Taza 18-inch Kids' Luggage for $39.99 or Goodfellow & Co. Weekend Bag for $29.99. 6. 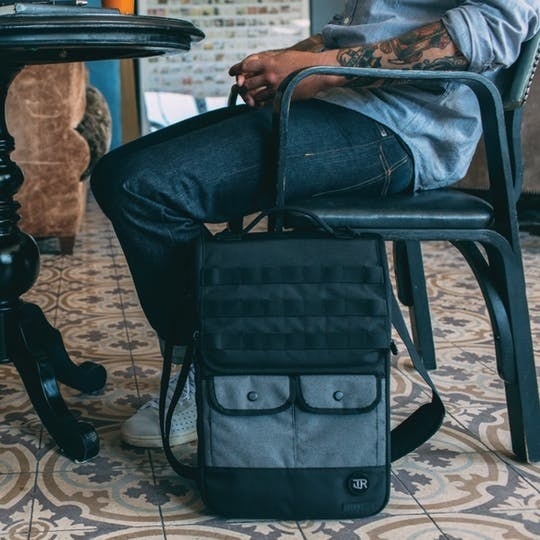 Away specializes in Insta-worthy bags that'll charge your phone and stick with you thanks to their lifetime warranty. What it carries: garment sleeves, luggage sets, monogrammed suitcases, packing cubes, rolling suitcases, stickers, and Tile luggage tags. Shipping: Free UPS ground on all orders shipping to the contiguous US, $25 UPS ground to Hawaii and Alaska, and $25 USPS priority to Puerto Rico per luggage shipping unit. More on shipping. 7. 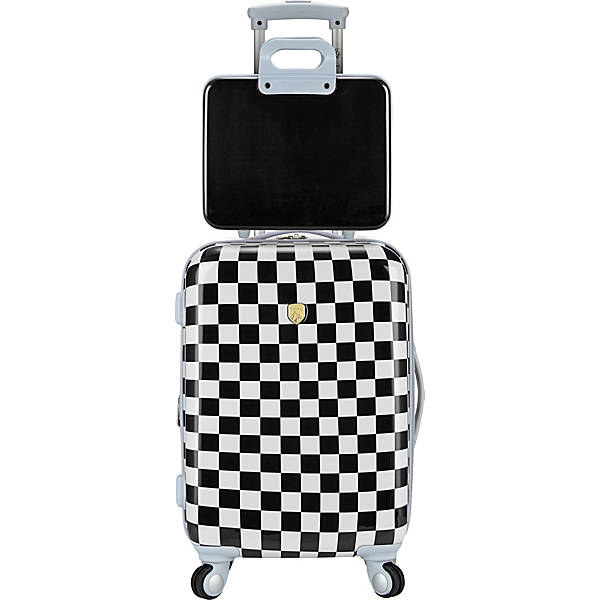 Bloomingdale's delivers on designer suitcases for when you need the full spread for your ✈️ posts. Why it's great: Mixing and matching — or just matching everything — is easy with the Bloomie's search parameters. 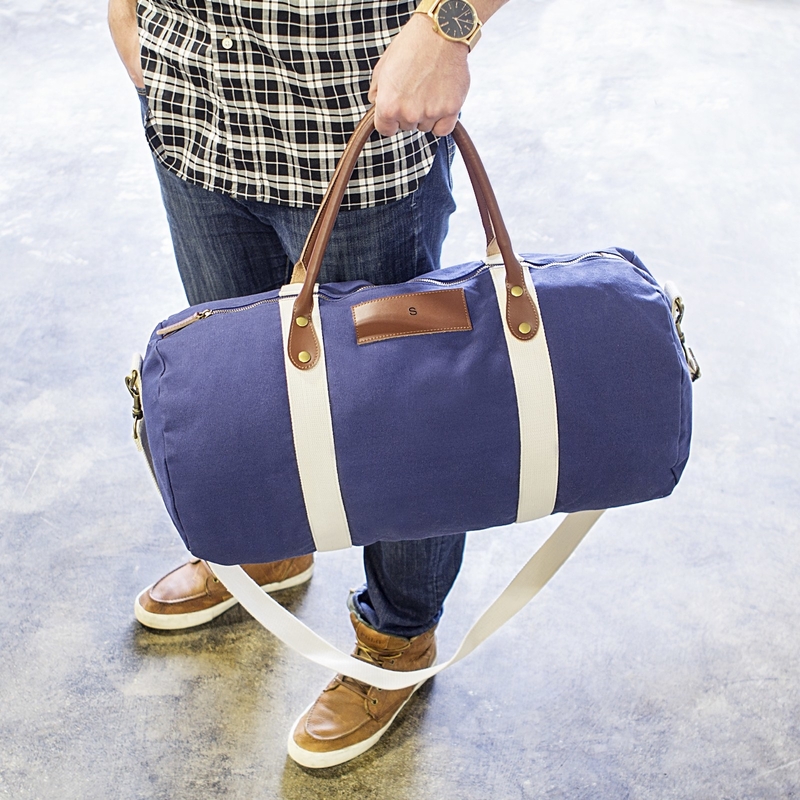 So no sweat if you'd rather die than mix your Tumi with your Herschel Supply Co., on your next getaway. Shipping: Free standard shipping every day for Loyallists and free shipping for all other customers on $150+ purchases. More on shipping. 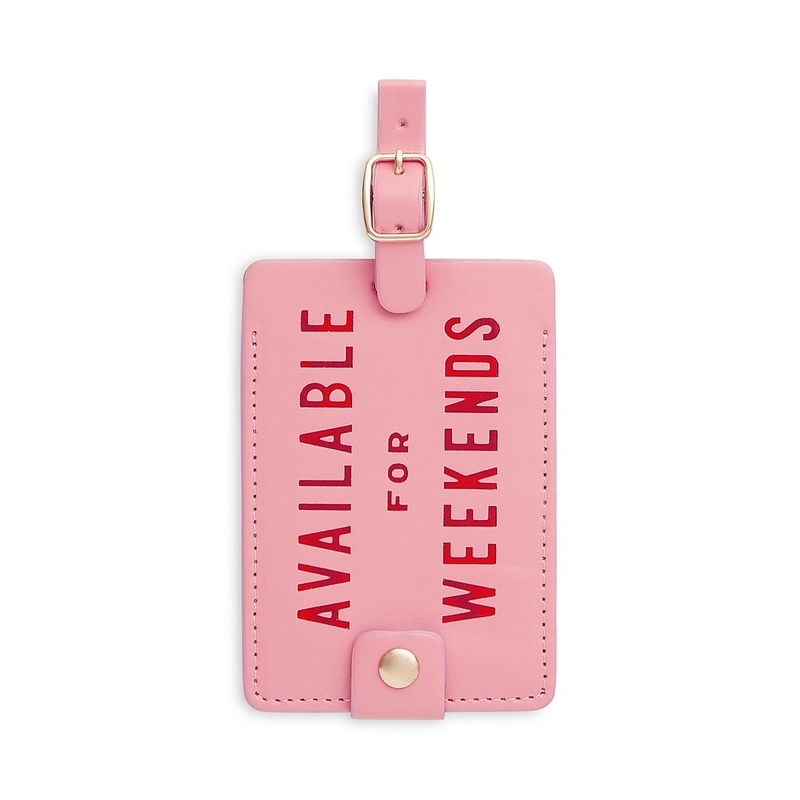 Get this Ban.do Available for Weekends Getaway Luggage Tag for $10 or Tumi Alpha 2 4-Wheel Extended Trip Garment Bag for $975. 8. Groupon is a solid choice if you need a new suitcase, like, yesterday and want a major deal. Why it's great: If you see something you like, go ahead and buy it ASAP before the deal expires or it's sold out. So basically, like everything else on Groupon! Shipping: Rates vary by item. More on shipping. 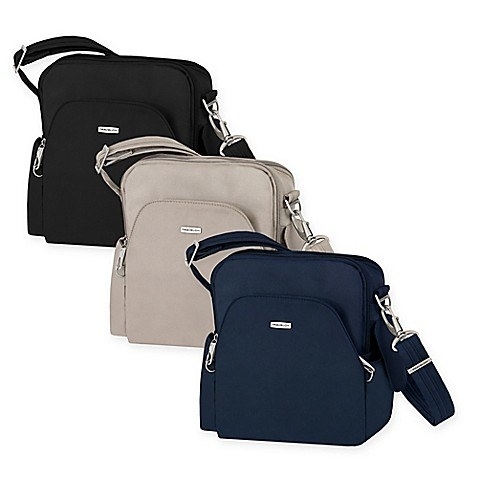 Get Foldable Waterproof Travel Bag for $9.99 (five colors) or Mia Toro Italy Moderno Hardside Luggage 2-Piece Set for $99.99 (two colors). 9. 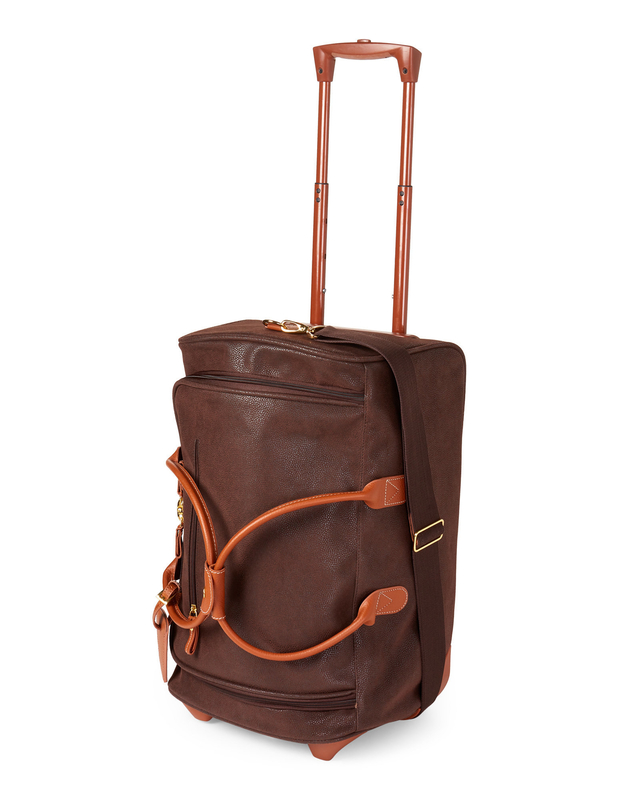 Hayneedle has a fair selection of rolling suitcases with a smattering of higher-end leather travel accessories to keep your carry-on looking as nice as you do. Why it's great: You wouldn't realize that this home goods destination has a nice little selection of luggage unless you really went digging, which is not a problem for you because I already did that work! 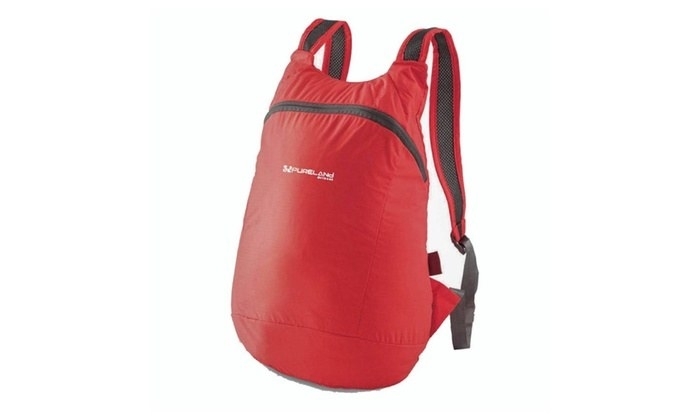 If you have a need for hardside luggage or garment bags, take a gander here. Shipping: Free shipping on orders $45+ in the contiguous U.S. with shipping details on individual product listings. More info on shipping here. 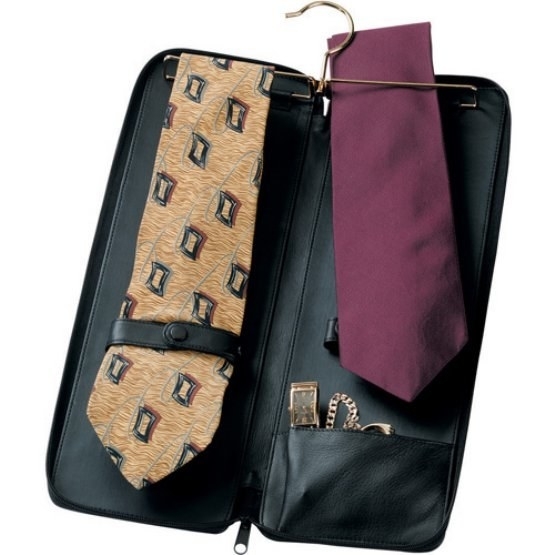 Get this Rockland Luggage 20-inch Polycarbonate Carry-on Luggage for $53.89 or Royce Leather Deluxe Leather Tie Case with Optional Monogramming for $112.99+ (two colors). 10. 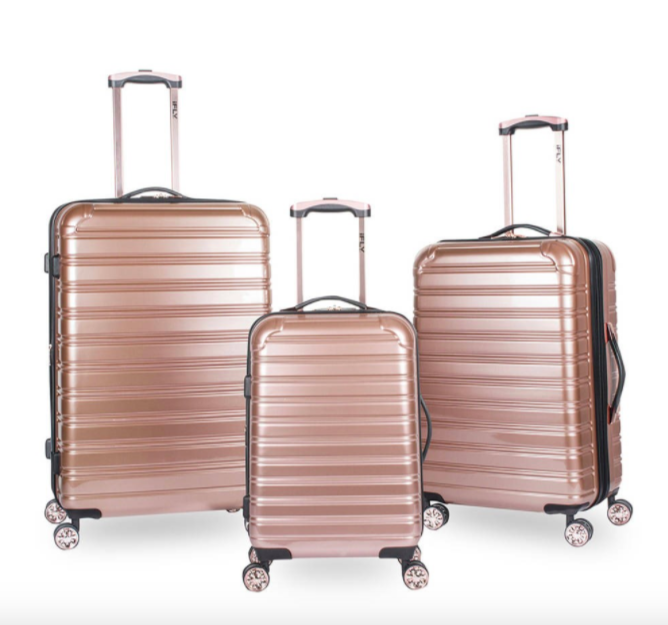 QVC offers the option to pay off purchases in installments, which is perfect if you're springing for a really nice luggage set but need to spread out the expense. Why it's great: Prepared to be as wowed as you'd be if you were watch QVC live on TV while browsing through all the cute bags and travel gadgets. 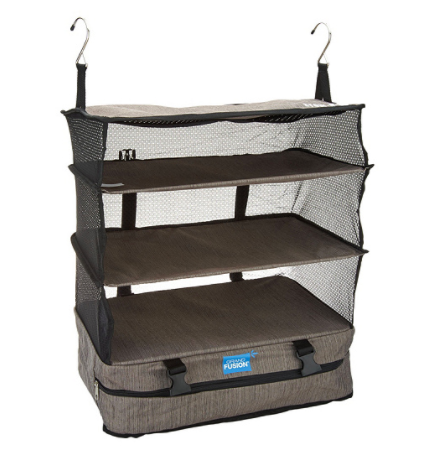 How does a suitcase organizer that you can hang sound? Good? OK, then you should shop here. Shipping: Shipping fees vary based on products and carriers. Many products have shipping listed alongside product price. More info on shipping. 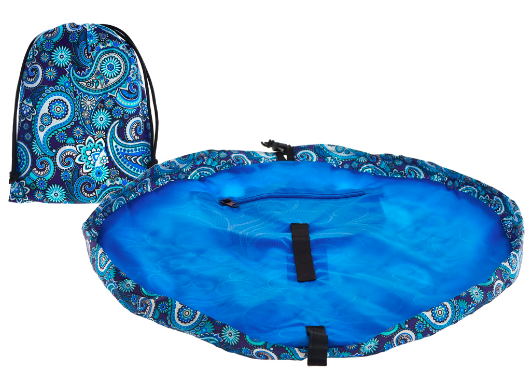 Get this LAY/N/GO 22" Deluxe Cosmetic Storage and Travel Bag for $22.50 (seven patterns) or Stow-N-Go Large Luggage & Travel Hanging Organizer for $45.44. 11. Jet sources brand names at lower prices than you'll find elsewhere if you're willing to dig a little. Why it's great: It has a really good mix of high and low options. 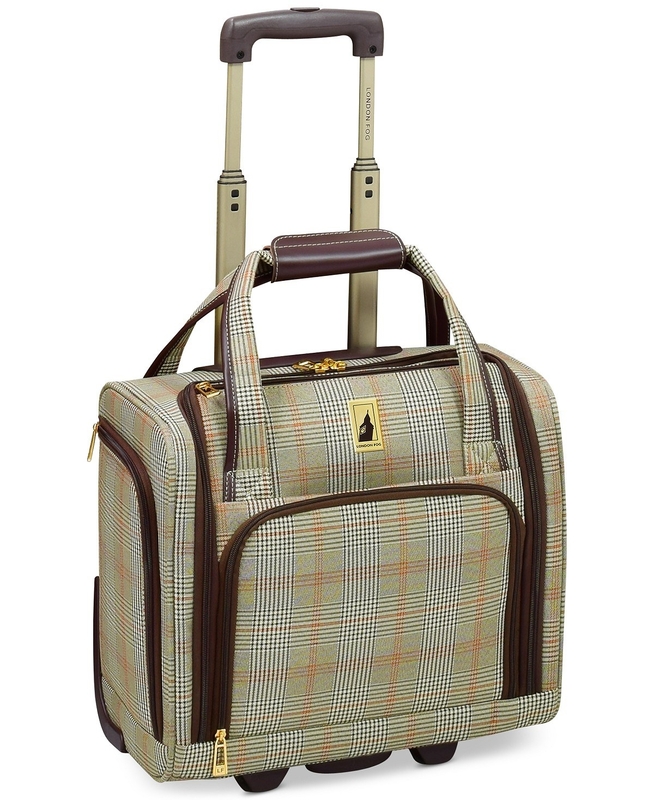 Like, did you know there's BMW luggage? Neither did I 'til now. No but really, try Jet. Shipping: Free shipping on $35+ orders. More info on shipping. Get this iFLY Hard Sided 3-Piece Fibertech Luggage Set for $189 (two colors) or Buxton Chevron Travel Collection Garment Duffel Bag for $74.99. 12. Saks Fifth Avenue promises to satisfy your need for a label that everyone will see OR only those in the know will notice. Why it's great: The department store's website gives you a 360-degree view of select items so you can see how that Balenciaga bag you threw down a grand for looks from allll angles. And there's some very up close and personal zooming on other items! Shipping: Free standard shipping in the U.S., though shipping may take longer to Alaska, Hawaii, US Territories, and APO/FPO addresses. More info on shipping. 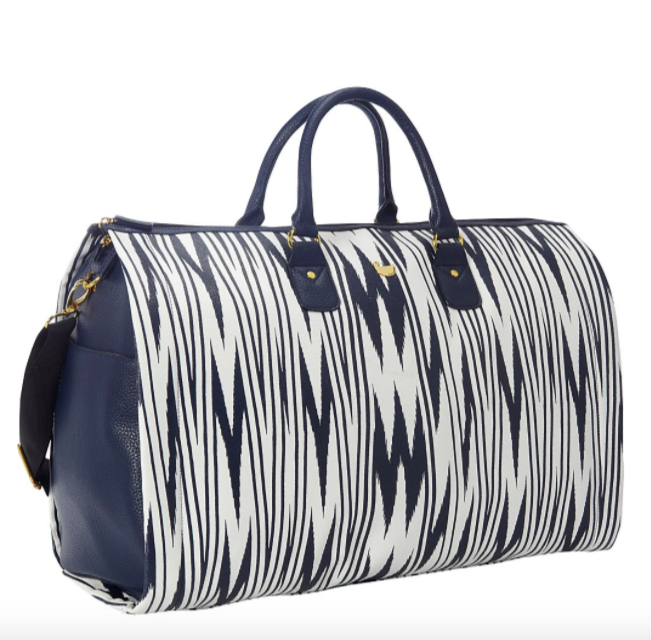 Get this Alice + Olivia Stace Face Cotton Duffel Bag for $355 or Gray Malin Escape Luggage Tag for $49. 13. Personalization Mall has — as you can guess from its name — a multitude of personalization options so you aren't left grabbing the wrong bag off the luggage carousel. 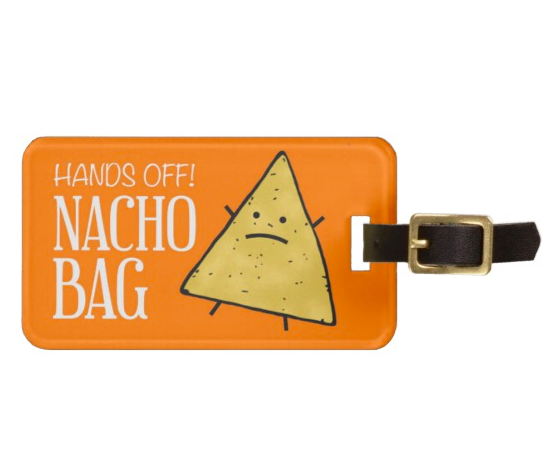 Why it's great: This website specializes in the seemingly endless ways in which you can personalize every damn thing you own. Possibilities run the gamut from an embroidered garment bag for a destination wedding to a monogrammed duffel for sports team trips. Shipping: Ship to the contiguous U.S. at a cost, though keep your eyes peeled for free shipping coupon codes! More info on shipping. 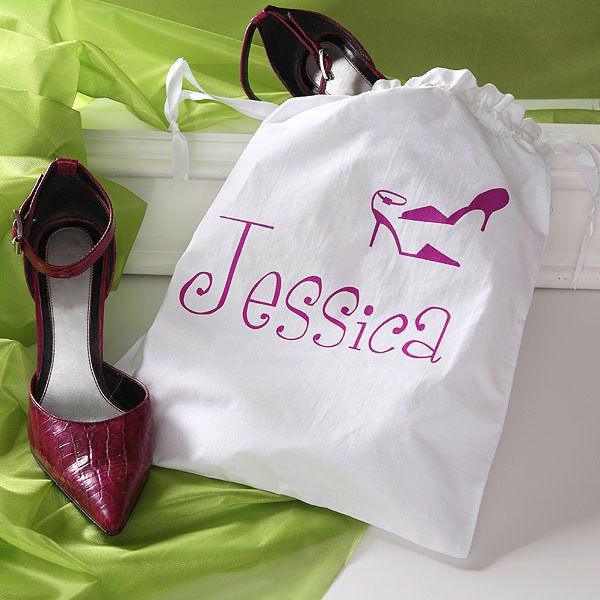 Get this Just My Style Personalized Shoe Bag for $15.99 or Bold Style Personalized Passport Holder for $24.99. 14. 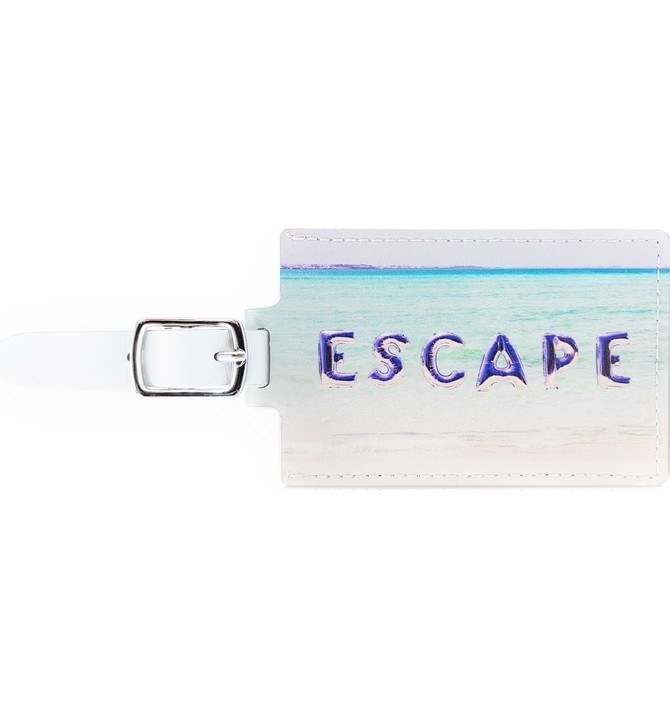 Zazzle takes customization to a WHOLE OTHER level with the ability to choose pics, color schemes, and more for your carryall! 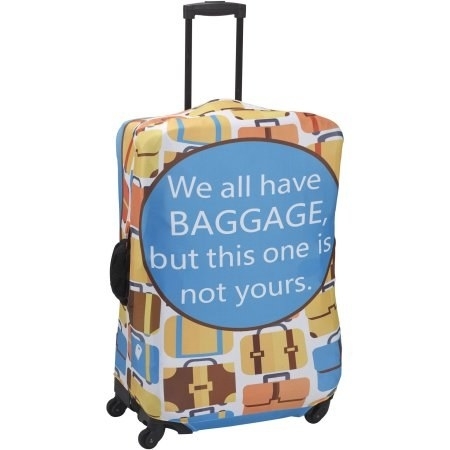 Why it's great: From the super custom (think your face on a hardside suitcase people definitely won't mistake for theirs at the luggage carousel) to the subtle monogram variety, Zazzle has a variety of goods at prices that won't leave you with a fleabag-motel budget. Shipping: Costs for shipping to the U.S. and internationally. More info on shipping. 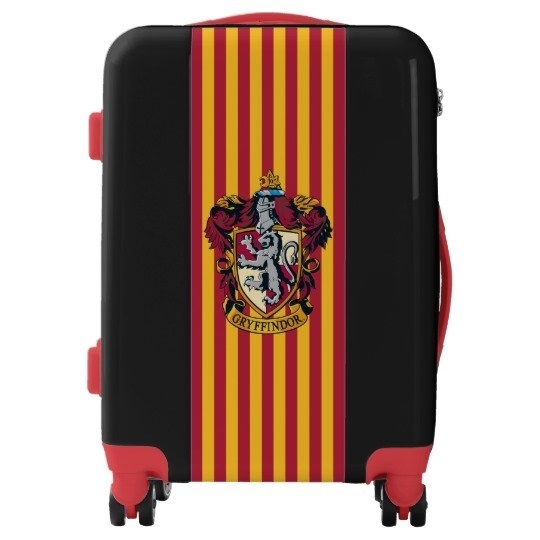 Get this Gryffindor Crest Gold and Red Luggage for $210.06 or Nacho Luggage Tag for $12. 15. 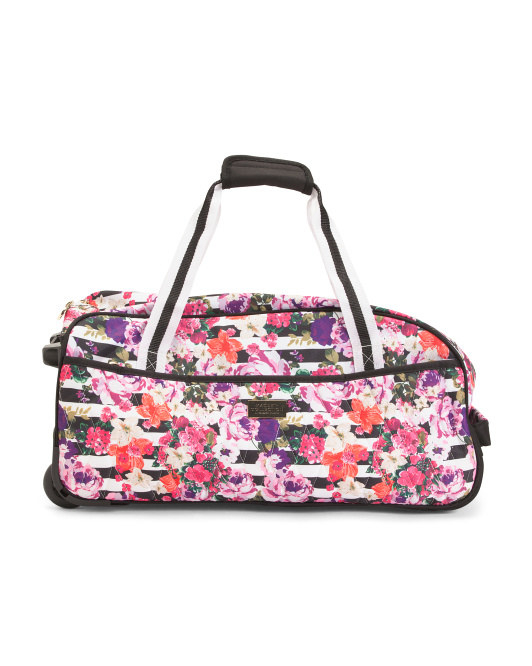 Lord & Taylor fulfills your need for bags and lots o' travel-size toiletries to keep you looking like your usual glam self. Why it's great: It's ALWAYS having a sale. Always! 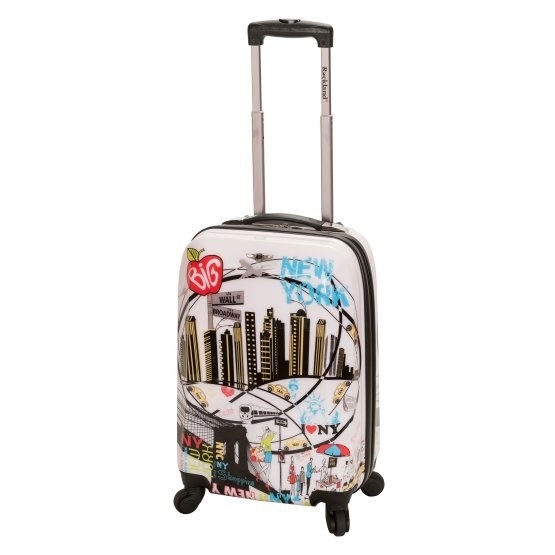 Yeah, a sale is nice when you're buying a T-shirt, but even nicer when you're buying a damn set of rolling luggage. Shipping: Beauty and fragrance orders $49+ and other orders $99+ qualify for free standard shipping. More info on shipping. 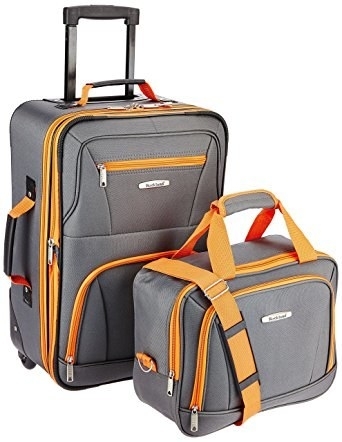 Get this American Tourister Mouse Pants Hardside Spinner 21-inch for $139.99 or Parkland Peak Duffel Bag for $49.99 (two colors). 16. Macy's outfits the whole fam with stuff that'll make it through layovers and luggage carousels at a price that won't break the vacay budget. Why it's great: The Macy's product search parameters are lit. 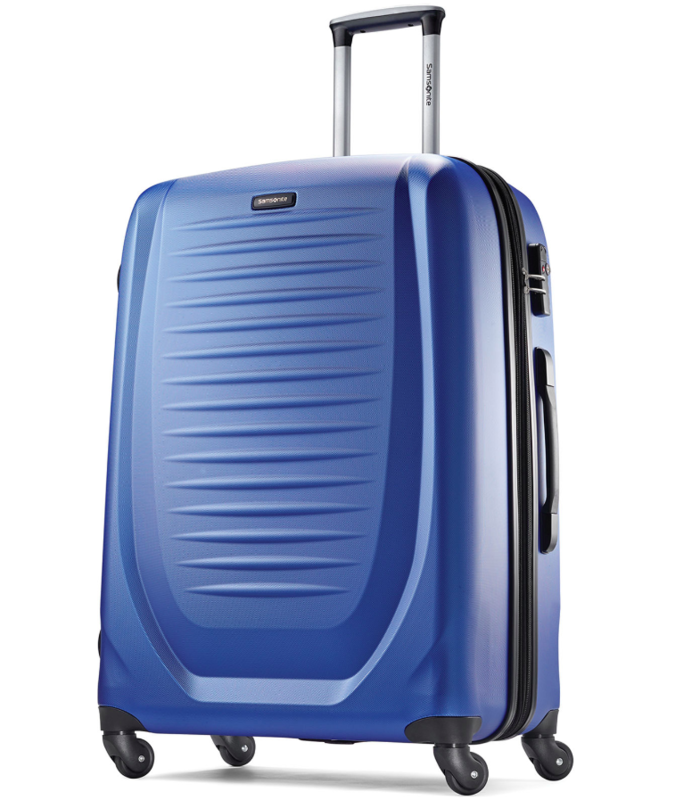 So if you know that you need a Samsonite carry-on that's lightweight, water-resistant, and blue, you'll find it ASAP. Shipping: Free shipping on $49+ orders in the contiguous U.S. More info on shipping. 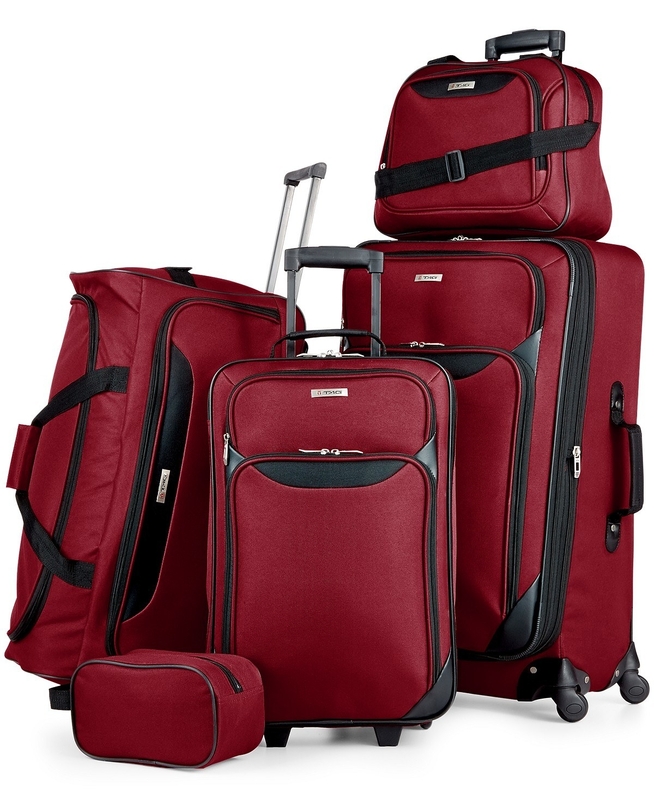 Get this Springfield III 5-Piece Luggage Set for $99.99 or London Fog Knightsbridge 15-inch Under Seat Tote (two colors) for $109.99. 17. Sierra Trading Post's selections are built for your adventures, whether they look utilitarian AF or like they belong as a prop on your Insta feed. Why it's great: Yes, it has the stuff that looks outdoorsy AF. But it also has metallic hardside spinners! So really, it has it all in neat suitcases that can deal with some stuff, like if you haveto drag a suitcase along a dusty gravel driveway to some far-flung Airbnb with a beautiful view. Shipping: Large, heavy, and oversize items may be subject to additional charges. More info on shipping. 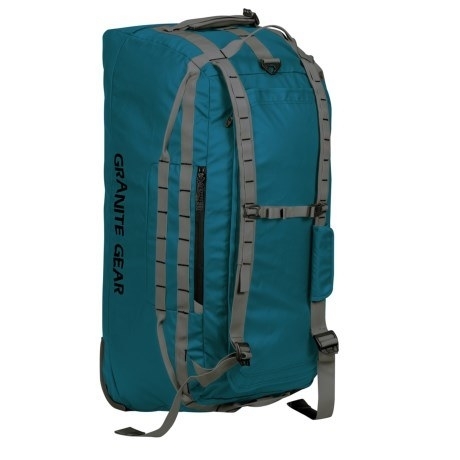 Get this Granite Gear Packable Rolling Duffel Bag 30-inch for $49.99 or IT Luggage Saint Tropez Deux Spinner Suitcase 31.1-inch for $79.99 (two colors). 18. 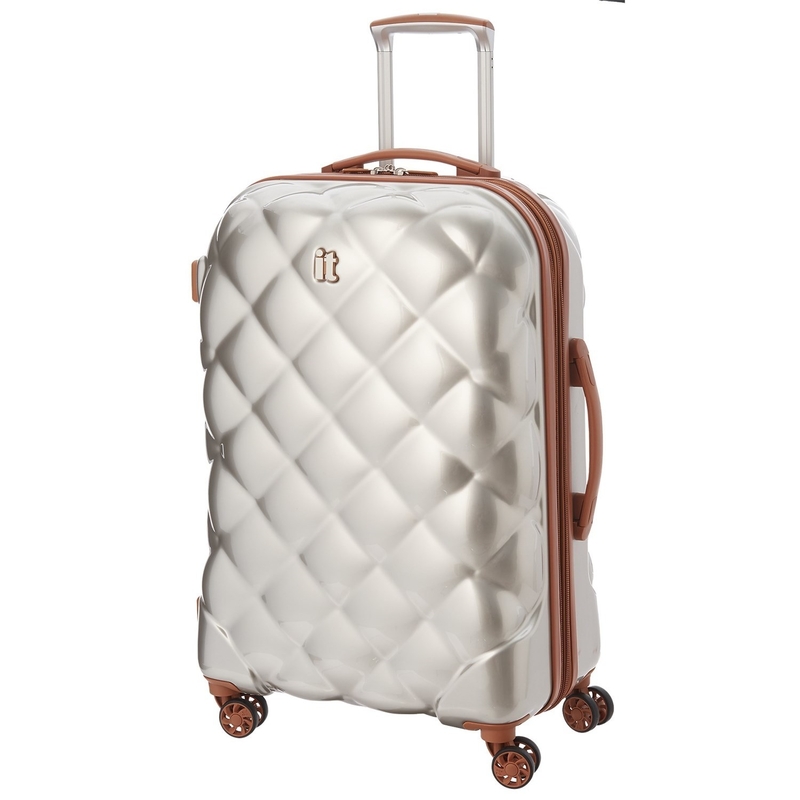 Neiman Marcus is a good standby for designer luggage that'll make you want to plan a trip just so you can wheel it around in public. Why it's great: If you're in the market for designer goods, here's an easy bet with finds like Gucci duffels, Armani weekenders, and Brunello Cucinelli rollers, just to name a few. Shipping: Free shipping, though some fees may apply to large or oversized items. More info on shipping. Get these Kate Spade New York suitcases for $630+ each or Charger and Cord Case for $20 (three colors). 19. Bed Bath & Beyond covers the "beyond" part with lots of things, including luggage. 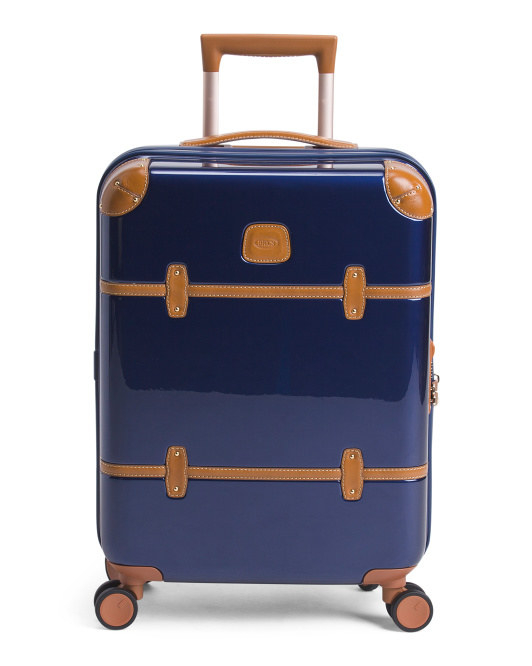 Why it's great: It has lots and lots and lots of luggage sets and basically any travel accessory you could fathom. Shipping: Free standard shipping to the contiguous U.S. for $29+ orders and for Alaska, Hawaii, and Puerto Rico for $49+ orders. More info on shipping. 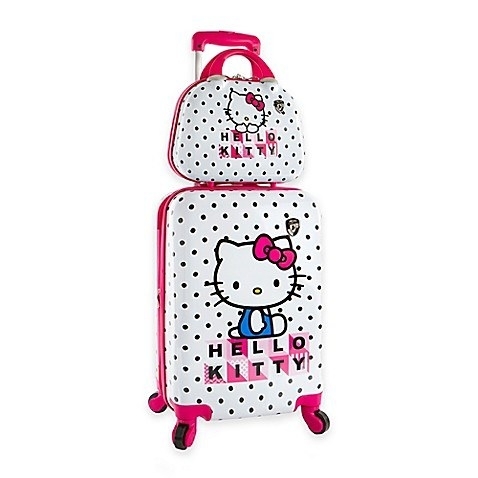 Get this Hello Kitty 2-Piece Luggage and Beauty Case Set for $99.99 or Travelon Anti-Theft Classic Travel Bag for $39.99+ (three colors). 20. 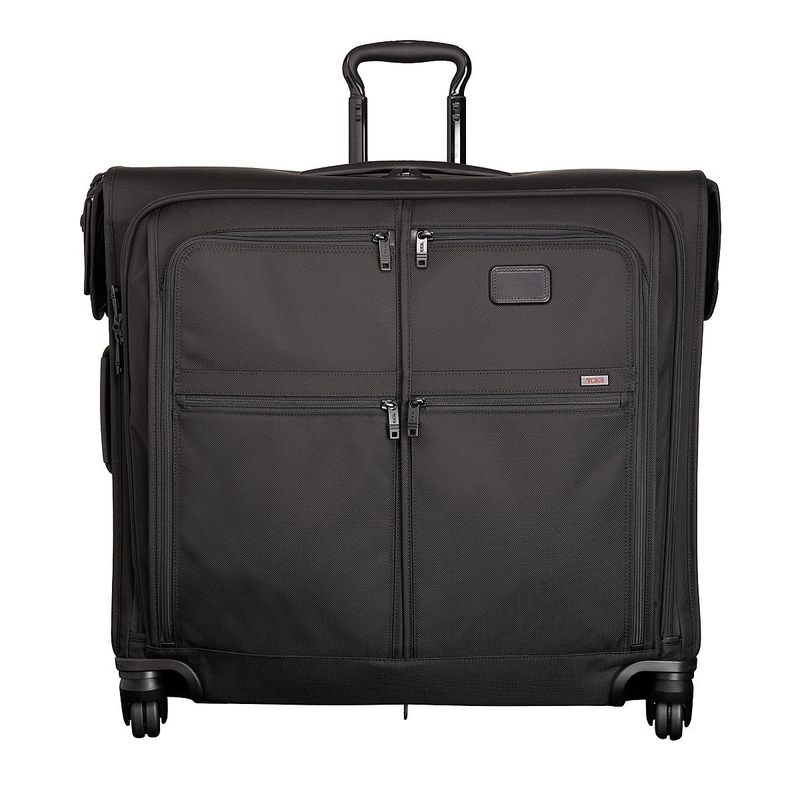 Brookstone keeps you well-wheeled when it comes to rolling suitcases for business trips and so many more items for other far-flung occasions. 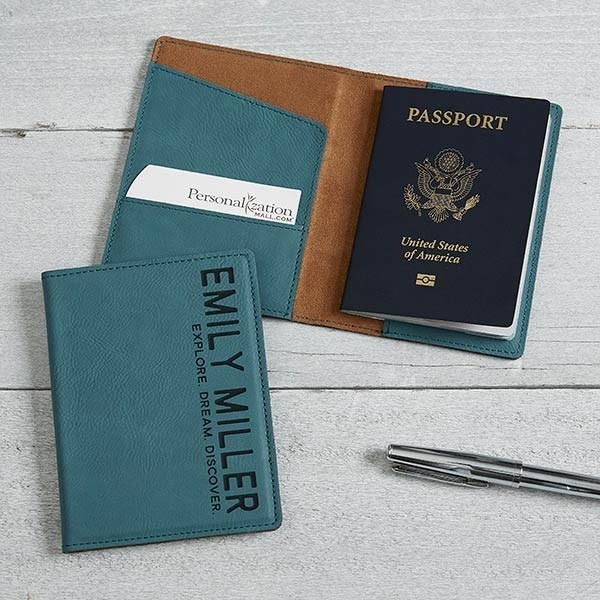 Why it's great: The chain's innovative offerings extend to everything from suitcases you can squeeze under a plane seat to a snazzy passport cover. Plus, many items come with the option of an extended protection plan! Shipping: Free shipping on all orders to contiguous U.S. with promo code SHIPFREE. More info on shipping. Get this DASH 4-Wheeled Expandable Carry-On Luggage for $99.99+ (five colors) or Halsted Double Compartment Laptop Case for $175. 21. Century 21 — like its discount-designer counterparts — has many brand names at budget-conscious prices. But you have to strike while the iron is hot! 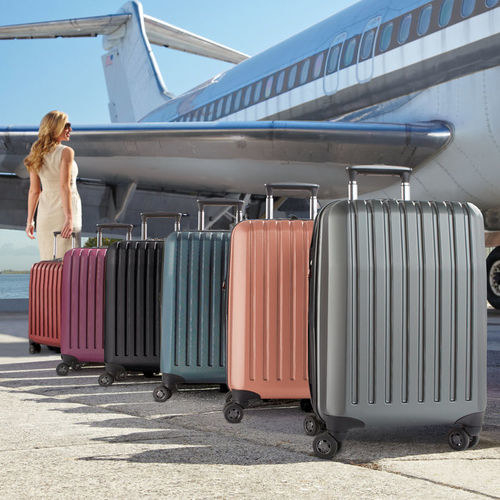 Why it's great: You can find the cutest versions of your standard suitcase brands (think Bric's, Mia Toro, Samsonite) at lower prices than elsewhere. Shipping: Free shipping on $75+ orders. More info on shipping. 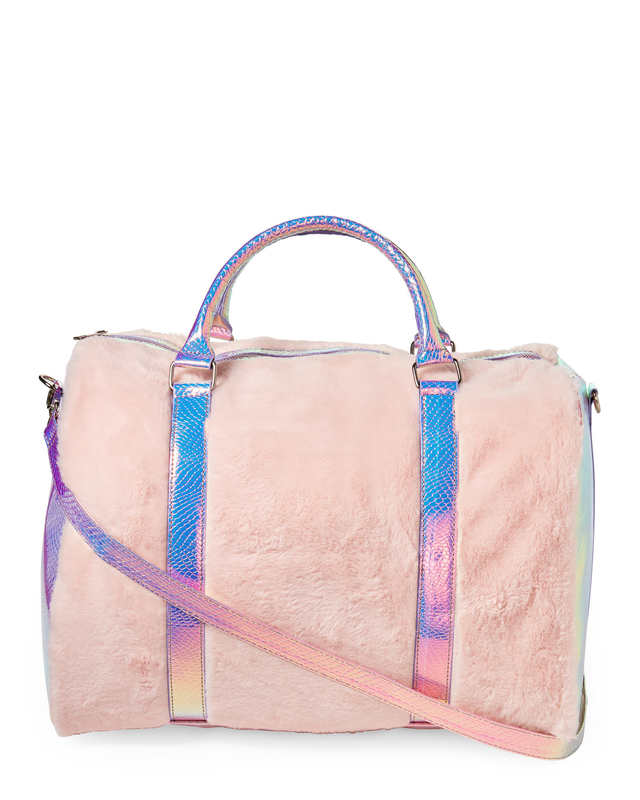 Get this Under One Sky Pink Unicorn Faux-Fur Weekender Bag for $29.99 or Bric's 19-inch Brown My Life Rolling Duffel for $299.99. 22. Spring is an under-the-radar option for designer names when you wanna feel fancy but don't quite have the coin. Why it's great: Sometimes on other sites with a "marketplace" structure, you'll see a designer tote bag for dirt cheap and feel unsure about if it's legit. No need to worry about that on Spring. It's all legit! Shipping: Every item ships for free, however, each brand on the site has its own shipping method, and delivery provider and delivery time will vary accordingly. More info on shipping. Get this Lexdray x Tony Royster, Jr. Drumstick Case for $99 or Boarding Pass Black "Work Hard, Play Hard" Duffel for $115. 23. Walmart ranges from bare-bones utilitarian to fun character options for kids. Why it's great: You and I both know that the store has everything. So of course there are tons of options when it comes to carting your stuff around on exotic *or* completely boring trips. Shipping: Free 2-day shipping on orders shipped by Walmart $35+ and free in-store pickup on eligible items. Costs for marketplace item vary by vendor. More info on shipping. 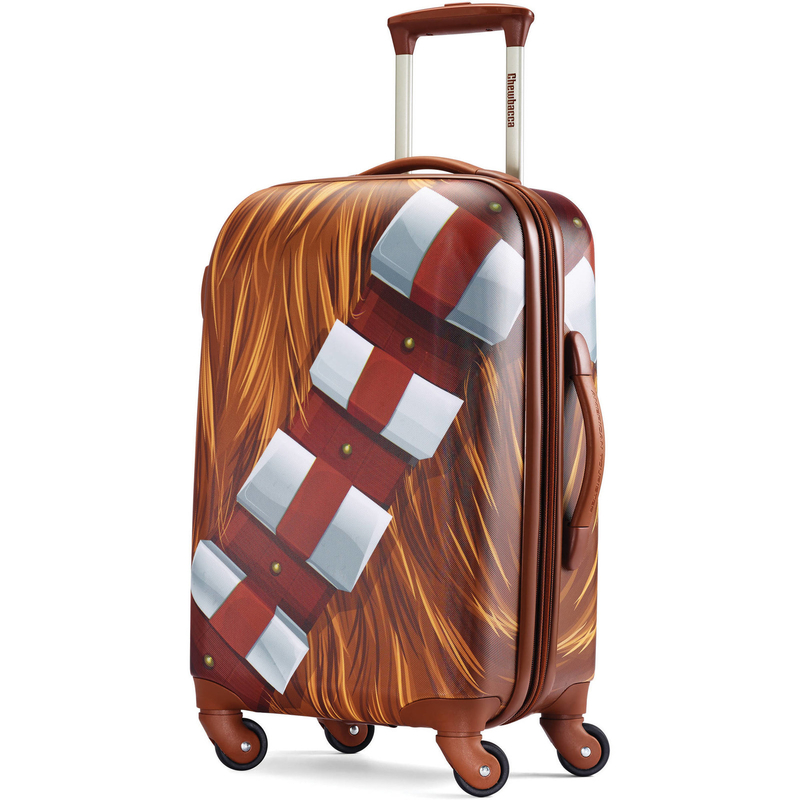 Get this American Tourister 21-inch Star Wars Chewbacca Spinner for $78 or American Tourister Luggage Cover for $7.99. Why it's great: This department store is a go-to for great deals on good-looking stuff. 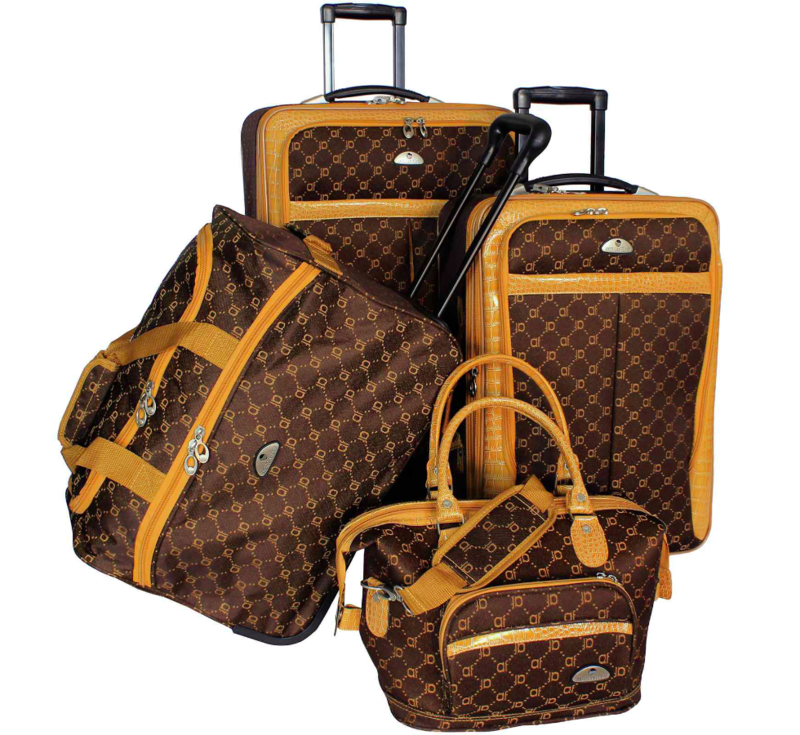 But its search parameters for luggage will do so much of the hard work for you. You can even search by promotions or age group! Shipping: In the contiguous U.S., free store delivery on $25+ orders and free home delivery for $99+ orders. More info on shipping. 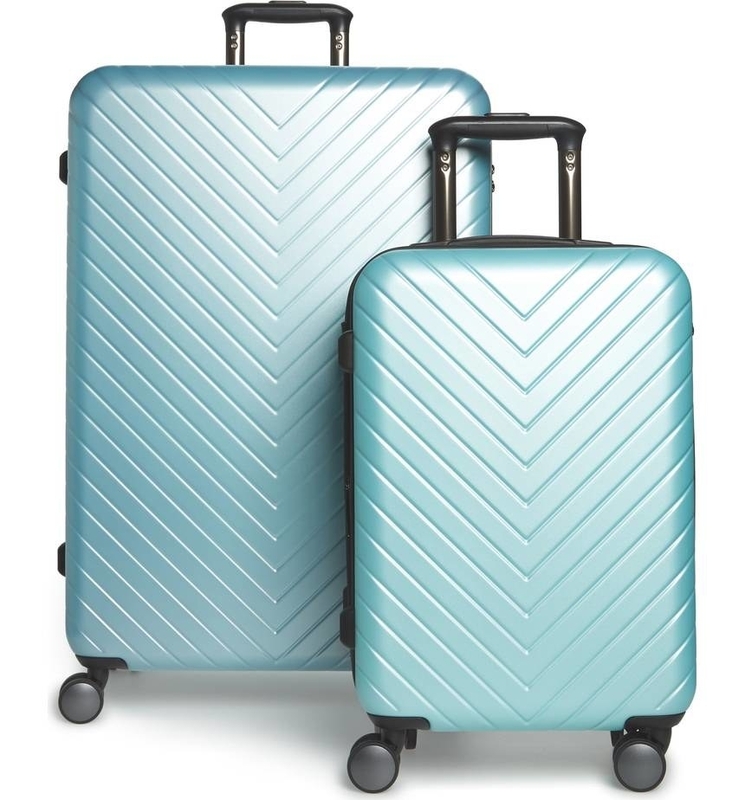 Get this Samsonite SWERV 28" Expandable Hardside Spinner Upright Luggage for $113.99 or American Flyer Signature 4-piece Expandable Upright Luggage Set for $220 (three colors). 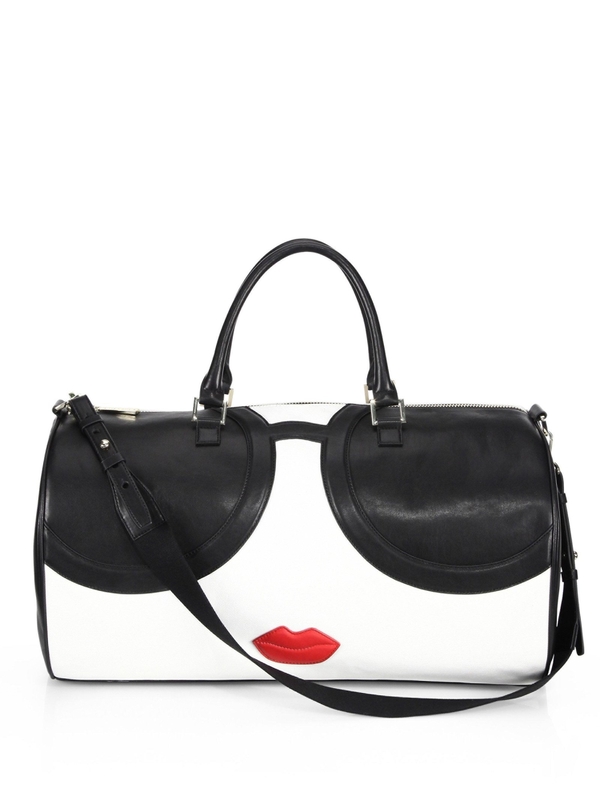 25. eBags carries nearly any kind of bag your heart (and itinerary) desires. Why it's great: The obvious store name lives up to its moniker. 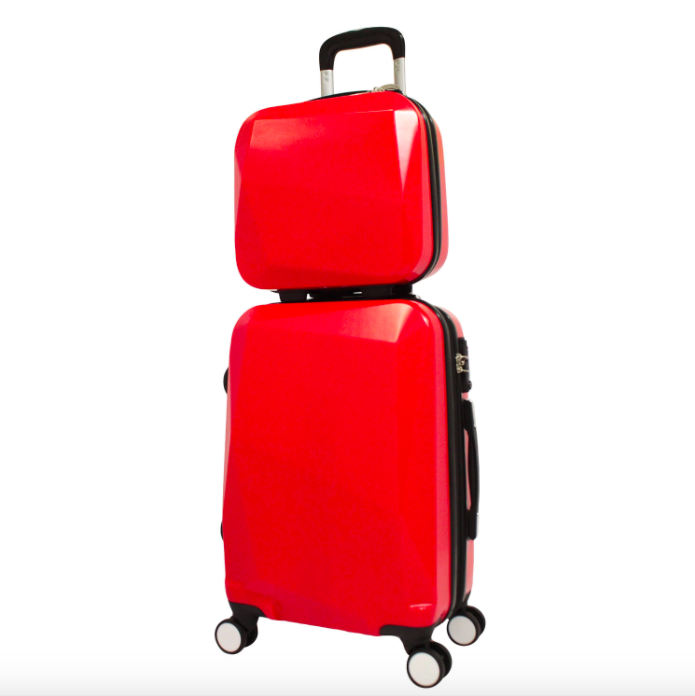 It carries most all the normal suitcase brands and has designated sections for exclusives, sales, and under $100 carry-ons so you won't click off with an empty cart. AND students get 30% off! Shipping: In the contiguous U.S., free shipping on $49+ orders. More info on shipping. Get this T.P.R.C. 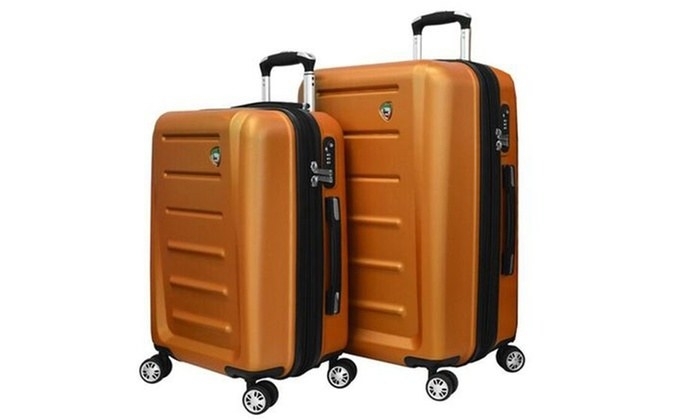 Paris Fashion 2-Piece Hardside Expandable Spinner Luggage Set for $59.99 (two exclusive colors) or Browning Jackson Carry-On Travel Pack for $99.99 (two colors). Now that you have some *new* luggage options, it's time to decide where you're going where you'll surely "behave" yourself.